This sink plunger is great for use on sinks and in toilets. A bottle of 1 litre drain cleaner which keeps sinks and plugholes running freely. Simple to use and extremely good at killing harmful bacteria. A powerful gel that sinks through standing water. The caustic formulation of this product is safer than the acidic drain cleaning products which are sometimes used. Q: Can this be used with plastic pipes? A: Yes this product will be fine to use with plastic pipes. 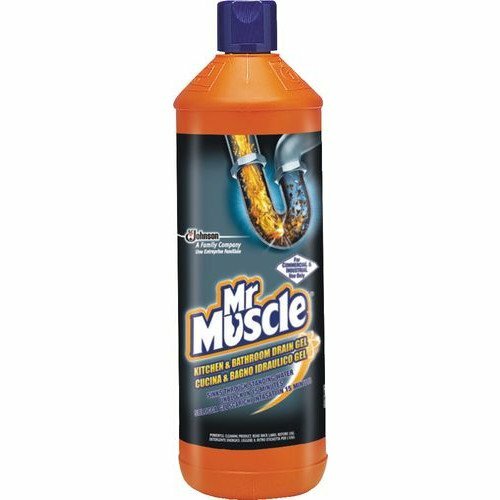 Q. I bought a plastic bottle of this from an Aldi store in Newquay. When I got home I realised it was leaking and transfered it to another plastic bottle, this also developed a leak. I have now transfered the product into an old wine bottle with a screw cap. Is this safe as the fluid was warm on the last transfer but has now cooled. A. We would advise you to contact the manufacturer as soon as possible as this sounds like a potential hazard, especially if the liquid is becoming warm of it's own accord.